Landforms are the natural features of the earth’s surface which are often arranged in certain groups on the basis of distinctive physical features like soil type, elevation, stratification, slope, rock exposure, and orientation. These physical attributes or geographical features are actually the landforms. These physical features are accountable for operating and controlling the earth’s ecosystem, climate, weather and certain other elements. Landforms are normally formed because of the forces of nature, i.e. wind, water, movement of tectonic plates, and ice. The formation process of these landforms depends on these factors. Some the landforms are formed within hours while some take months to years to appear. Mostly, the landforms are formed under systematic and controlled order of natural forces. This is very essential as any aberration in the order of natural forces can cause severe damage to not only life but also other landforms. As we said that different natural forces are accountable for the formation of landforms, let us take the matter more simply. You know that several different changing happen in the environment all the time. In the light of these changes often soil gnaws off and accumulated far from the erosion site. This eroded soil gives rise to several landforms in turn. A group of landforms in any certain region or place is collectively known as landscape. Following are given some of the different types and characteristic features of landforms. Mountains: Mountains are areas in land which are of a great altitude. These are often described in terms of their peaks such as the Himalayas. Mountains are most common in the oceans rather than in land. Mountains are created as a result of tectonic movement such as earthquakes, volcanic eruptions etc. However, mountains can also be formed because of the erosion of nearby areas for which wind, water or ice are responsible. Remember, mountains are different from hills in a way that former are steeper. Plateaus: Plateaus are areas of flat lands that are usually higher than the surrounding land. A steep slope disconnects them from the land around it. There are so many factors behind the formation of plateaus. It can be the result of collision of the earth’s tectonic plates, elevation of the earth’s crust by means of magma, or in some cases volcanic eruptions. Islands: Island is a piece of land completely surrounded by water. 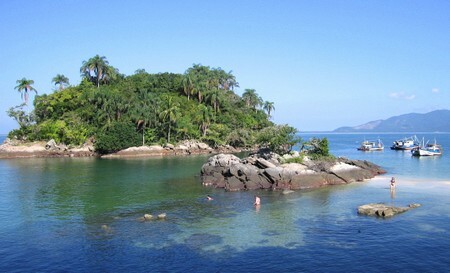 We have so many examples of islands before us such as the Hawaiian Islands, Cies Islands in Galicia, etc. Most of the Islands come into being because of the volcanic eruptions or because of the occurrence of hot spots in the lithosphere. Plains: Plains are simply the large areas of flat land or low relief areas like steppes, prairies. The plains are come into existence because of the depositing of the eroded soil from mountains and hills. They can also be formed as a result of depositing of flowing lava. Valleys: Valleys are basically the areas of low land amid of the hills or mountains such as the California Central Valley. Rivers and glaciers are the two major factors behind their formation. A valley can be a V-shaped valley or U-shaped valley. 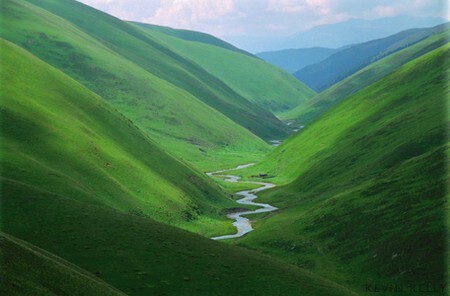 V-shaped valleys are usually the result of flowing rivers while U-shaped valleys are created by glaciers. Deserts: Deserts are large areas of land with very little amount of water and very few plants such as the Sahara Desert. Most of the deserts are located in rain shadow areas. Rain shadow area is an area on the leeward side of the mountain range. Here, the passage of the rain producing weather system is blocked by the mountains and cast a shadow of dryness. 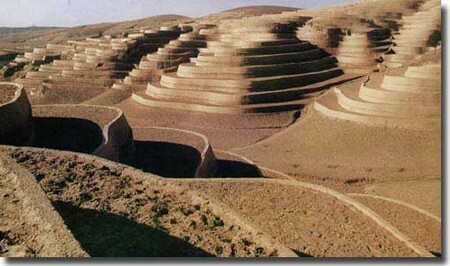 Loess: Loess is an area with the deposits of loose fertile soil containing a very little amount of clay and sand. Wind is the most prominent nature force which is accountable for the loess formation. However, glacial activities can also result in loess formation. Rivers: Rivers are basically the natural flowing bodies of water that continue to flow in the form of long line across the land to the ocean or sea such as The Nile. It is not necessary that the river ends up in meeting with ocean, sea or lakes; they are often dried up before reaching the any of them. Glaciers, groundwater recharges or water runoffs are responsible for the formation of rivers. Oceans: Oceans are actually the mass of saline water that covers most part of the earth’s surface such as the Pacific Ocean. It is estimated that about 71% of the total earth’s surface is covered by oceans. Oceans are very much responsible for climatic and weather changes. Continental Drift or the movement of tectonic plates is accountable for the formation of oceans. Glaciers: Glaciers are large mass of ice that moves very slowly. Gravity and pressure are two major reasons that compel the glaciers to move. There are mainly two types of glaciers: Alpine and Continental. Alpine glaciers are created mountains while Continental glaciers are created in extremely cold Polar Regions.